View More In Optical Sensors. Please check the title and description about size and model. 1. The item is a OD 4.0 mm toslink male to toslink male audio fiber cable. 2. Toslink Digital Audio Cable provides you the cleanest possible signal, even at extreme volume levels. 3. Optical cables transfer the signal using light, thus completely eliminating any chance for RFI, EMI or ground loop interference. 4. The stylish PVC 4.0mm JACKET helps prevent cable damage and adds flexibility and durability for years of listening pleasure. 5. 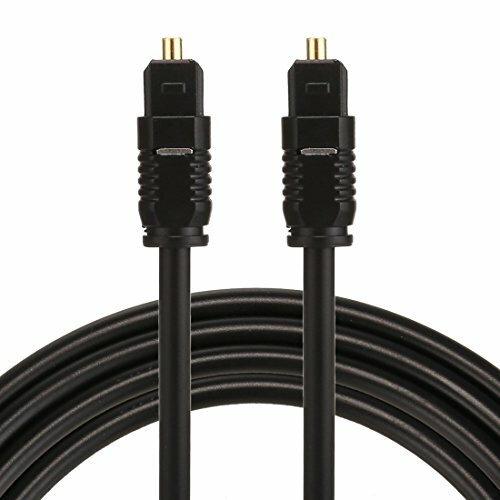 This optical fiber cable connects to your DVD, CD, MINI Disc Player, TV box, projector, etc, and it provides you fully enriched and detailed sound quality. 6. Non-slip plastic grip connectors provide easy installation. 7. Dust cap protects connector from contamination when not in use. Non-slip metal grip connectors provide easy installation. If you have any questions about this product by Optical Adapter, contact us by completing and submitting the form below. If you are looking for a specif part number, please include it with your message. BEI Sensors 01002-8544 H25 Rotary Incremental Encoder, XH25D-SS-2048-ABZC-28V/V-SM18, Heavy duty 2.5" diameter square flange mount, 1.25" diameter pilot and 3/8" diameter shaft,2000 ppr, 2.5"